In his book The Millionaire Next Door Thomas J. Stanley studied the lives, professions and habits of hundreds of millionaires. His research helped him to figure out quite a few common attributes of millionaires, and gave substantial insight into what millionaires do and how they behave that leads to their wealth. He found that millionaires aren't necessarily always in the highest income or highest status professions, but that they tend to live below their income, live in average homes and drive average cars. They appreciate value, but don't appreciate status symbols.They enjoy what they do, but also enjoy spending time with family, and are usually generous to a fault. 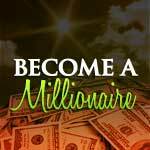 On a post on his blog Stanley talked about one profession in particular that has shown a high rate of millionaires, and in fact being in this profession means that you are ten times more likely to be a millionaire than the average worker. So what profession has such a high rate of millionaires? Auctioneers. Why do I profile auctioneers? It began almost by accident. Pouring over the Census data during several preceding economic downturns, I noticed that there was a large concentration of high income producers among full time, professional auctioneers. Historically, their income seems to vary in the opposite direction of the American economy in general. What I have found is that because of this auctioneers as a group are quite proficient at living below their means. 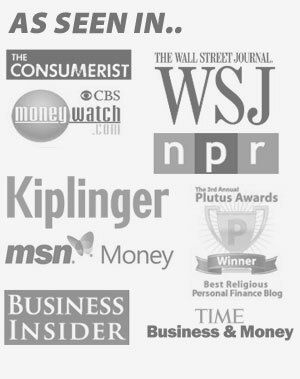 Most of them are astute financial planners and as a consequence they are among the very best at transforming their incomes into wealth. Stanley found that auctioneers were proficient at living below their means, and that they were “astute financial planners”. So when times got tough they were better at living within their means, and when times were good they were good at turning income into wealth. They were good at recognizing value. So what other things help auctioneers to be so much more likely to be millionaires? So what are some of the main reasons that many auctioneers are so successful? Stanley indicates that one factor was a combination of high income and lower cost small town living. most economically successful auctioneers live in small town America. The combination of a high income and the low cost of living in a small town is a powerful force underlying wealth accumulation. Given the same level of income, who accumulates more wealth-an auctioneer residing in small town America or someone who lives in a high status urban or suburban neighborhood? As you can guess, it is the typical auctioneer. The combination of a good income as an auctioneer, along with the fact that many auctioneers are in smaller towns and have a lower cost of living allowed them to amass wealth at a faster rate than some other high powered and status filled professions. Because their job allows them to see on a regular basis just how little high dollar prestige items will sell for at auction, auctioneers are very good at recognizing the true value of things. That means that they don't often waste money on things that don't retain value, they're often quite frugal and buy dull but functional items instead of status symbols. They buy functional things, or things that retain value well. For example, those auctioneers who have considerable experience with industrial real estate often invest their personal wealth in the same category. The average millionaire auctioneer spends only 61% of the amount urban/suburban millionaires allocate for housing. So what are some lessons to be learned from millionaire auctioneers? High income doesn't have to come from a high status profession: You don't have to be in a high status job to create wealth. Many wealthy create their income from low status professions. Live below your means: When you live below your means you'll be able to start amassing wealth. If you give in and live a status lifestyle your left over income is going to be much smaller. A low cost of living will help you grow wealth: Living in an area with a lower cost of living and less pressure to acquire status symbols will be better for your financial health. Recognize true value: Realize the true value of things, and know that the status associated with the item doesn't necessarily translate to the item's actual worth. Are there other things you think we can learn from these millionaire auctioneers? Tell us in the comments. Creating a net worth of a million dollars is possible for just about anybody. Here's how to go about achieving that goal. Is It Really Possible To Become A Millionaire? That’s an interesting correlation. Considering the variety of types of auctioneers, I would think that it would be difficult to group them in one homogeneous class. I’ve been to an alpaca auction (not to participate but to work on A/V support) and I’m familiar with high-end art and coin auctions… the companies running the auctions seem to differ wildly in their composition, but I suppose either way, the auction company takes a healthy cut. It makes sense that someone in that position would be better able to recognize a good deal and a rip-off, and also be better able to up-sell something they originally acquired for a good deal. I love most of Stanley’s work and it was a real eye-opener to me a few years ago to see just how “true” American millionaires lived. It does make sense about the auctioneers though. Living in smaller, mid-western cities helps with the cost of living and there is no doubt auction places take in a decent % of all of the items they sell. They also spend their days understanding buying low and selling high! I think being able to see value in something (regardless of how dirty it is) is an amazing talent. Think about all those shows on Discovery Channel make money, Pawn Stars, American Pickers, Storage Wars, etc. Interesting. I’d have to say that I think the small-town living costs are the one that nails it. Being an auctioneer is probably pretty competitive and specialised, and there’s only room for a handful per town. What they make probably doesn’t very much from town to town, either (unless they live in a big city like New York or London). I’ll be attending a school for this certification. Having worked at Auto Auctions in a few different states as merely a driver, I’ve paid attention to the fast paced atmosphere. I absolutely love it!